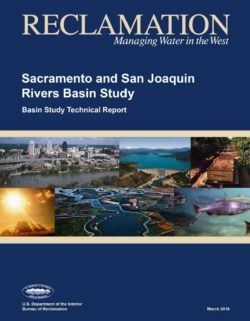 This Technical Report supplements the Sacramento and San Joaquin Basins Study Report (Summary Report) by providing greater detail on the technical approach employed in this analysis, including assumptions, methodologies and results not included in this Report. See the Summary Report for a discussion of the Basin Study program context (Section 1), basin settings (Section 2), and historic and projected climate (Section 2). Figure P-1 shows the geographic area included in the study. The Central Valley and regions that depend on the Sierra Nevada and Coast Range mountains for water have been facing rising demands for water from rapidly increasing populations, changes in land use, and growing urban, agricultural and environmental demands. These demands already exceed the capacity of the existing water management system to supply adequate water—especially in droughts like the one California is now experiencing. Future climate changes are likely to increase the challenges that have already occurred in the 20th century. This Basins Study builds on previous climate impact assessments and addresses both the potential impacts of climate and socioeconomic changes and explores how these challenges might be addressed (see Section 1. Introduction of the Summary Report). The Climate has Changed: Now what? Integrated Regional Water Management and Climate Change Planning A Coincidental or Inevitable Union? Adapting California’s water management systems in response to climate change presents one of the most significant challenges for the 21st century. In the course of the past five years, the California Department of Water Resources has taken an active role in both identifying opportunities to mitigate greenhouse gas (GHG) emissions and in positioning California to adapt to changes happening now and in the future. 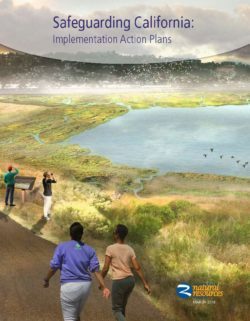 The recent publication of the Climate Change Handbook for Regional Water Planning is the most recent effort to bring together two separate water planning efforts – integrated regional water management and climate change mitigation and adaptation. The key to this planning synthesis is a significant change in the way water planners have addressed issues of water management. 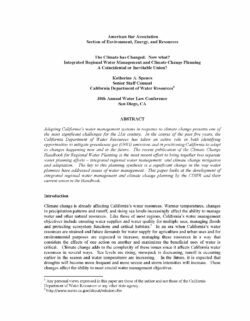 This paper looks at the development of integrated regional water management and climate change planning by the CDWR and their current union in the Handbook. Science tells us that the Earth’s climate is changing, and human activity is the primary cause of these changes. Climate disruption drives extreme weather events such as coastal storm surges, drought, wildfires, floods and heat waves. As Californians are painfully aware, these events can be devastating. It is imperative that we act to reduce the vulnerability and increase the resilience of our residents, communities and natural resources. temperatures. According to the California Climate Tracker, the winter average minimum temperature of 2014-15 for the Sierra Nevada region was 32.1 degrees Fahrenheit, the first time this value was above water’s freezing point in 120 years of record-keeping. As greenhouse gas emissions continue to accumulate and climate disruption grows, such destructive events will become more frequent. The historical record, which once set our expectations for the traditional range of weather and other natural events, is becoming an increasingly unreliable predictor of the conditions we will face in the future. This document details how California will build the resilience of our residents, communities, and ecosystems to the emerging impacts of climate change. The ten implementation plans presented here represent a master blueprint for executing actions recommended in the 2014 report Safeguarding California: Reducing Climate Risk, as called for in Governor Brown’s April 2015 Executive Order (B-30-15). Climate scientists tell us it's going to get hotter. How much it rains and where it rains is likely to shift. 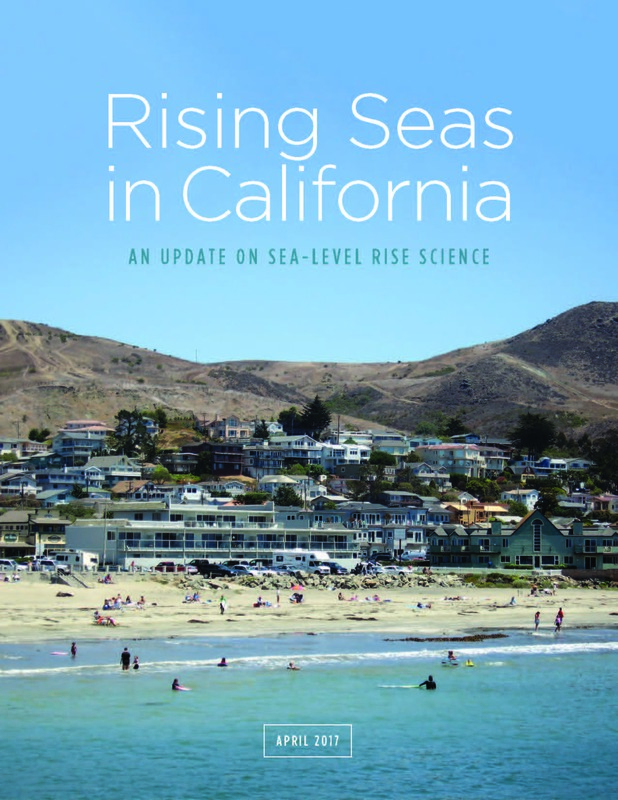 Sea level rise is apt to accelerate. Oceans are on their way to becoming more acidic and less oxygenated. Floods, droughts, storms, and other extreme weather events are projected to change in frequency or intensity. But how do they know what they know? 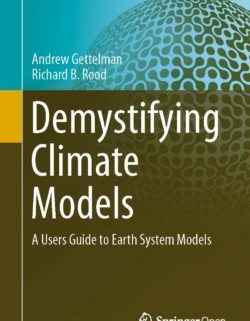 Two experts in climate modeling, Andrew Gettelman of the National Center for Atmospheric Research and Richard Rood of the University of Michigan, have your answers and more, free of charge. In a new open-access book, "Demystifying Climate Models," the pair lay out the fundamentals. In 282 pages, the scientists explain the basics of climate science, how that science is translated into a climate model, and what those models can tell us (as well as what they can't) — all without using a single equation. *Find the answers on pages 8, 13, and 161, respectively, of the book.